An interesting survey of the state of New Jersey's black churches vis a vis LGBT rights appeared today in The Star/Ledger. Apparently, black churches want it known: LGBTs are welcome. Even in "leadership positions." Kind of. “You have gay people in leadership positions already, just not openly,” said the Rev. 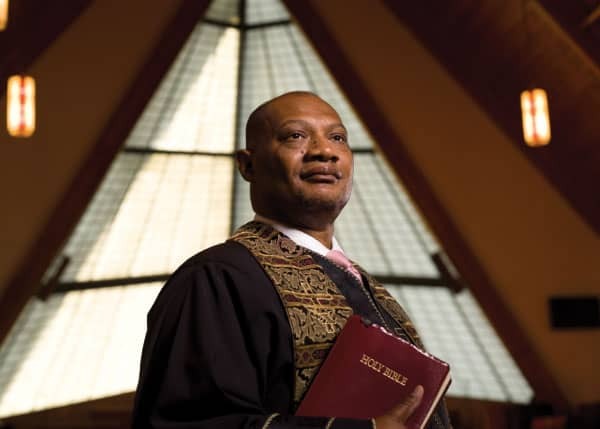 Reginald T. Jackson, pastor of St. Matthew AME Church in Orange and executive director of the 600-member Black Ministers’ Council of New Jersey. A random sampling of black ministers in the Newark area found many are aware of lesbians, gays, bisexuals and transgendered men and women in their congregations, singing in the choir or working in a church office. And they are willing to welcome them with open arms. The Rev. Ronald Slaughter of St. James AME in Newark estimates 60 to 70 percent of all churches have homosexuals in their congregations. “They (the congregations) may not know it, but they can’t be judge or jury at the door,” he said. Jackson believes black churches are moving toward more tolerance. “I think anyone who is gay or lesbian or whatever should be welcome in all of our churches. That shouldn’t be a question.” He added that most major black denominations are probably opposed to gay marriage, but they wouldn’t eject church members who are in civil unions. “I don’t see the church’s stand on gay marriage changing in my lifetime,” he said.